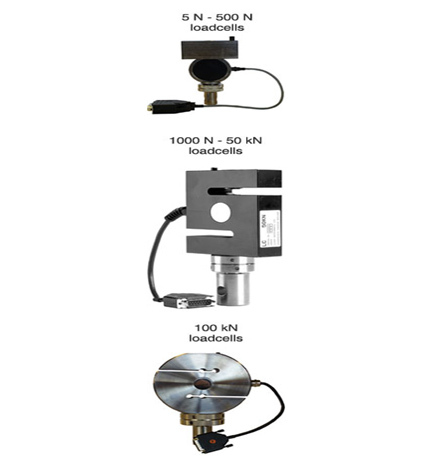 All Lloyd Instruments loadcells are high accuracy, self-identifying full bridge strain gauged load cells, designed to meet international standards for load cell accuracy. Load cells are available in a range of capacities from 5 N to 150 kN depending on the machine used and test to be performed. The load cells meets BS EN ISO 7500 part 1 and ASTM E4 for a 0.5% accuracy of reading load cell. These standards state that the load cells can be verified down to 2% of load range but can read down to zero load.